In addition to calming your crying baby and providing relief from colic, massage has a number of benefits. Babies experience stress just as adults do, and a massage can help baby relax. It can help premature babies stimulate growth and promotes good digestion. Massage is a good way for new parents to build a bond with baby, and it encourages good relationships with other family members, including brothers and sisters or other caregivers. It also helps parents relax and find some quiet time for just them and baby, which can be rare. The right time to massage baby is when you are relaxed and when you have enough time to devote to baby without interruption. Don’t massage baby when he is full, as this can cause discomfort. 1. Lay baby face-up on the towel. Begin at the head, using all your fingers to push down and up on baby’s head, much like a gentle comb would work through your own hair. Switch this up by making circles with your fingers or varying pressure. Don’t use oil on baby’s head or face. 2. 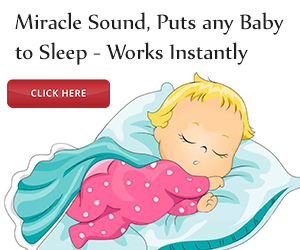 Rub your thumbs from the middle of baby’s forehead to the temples gently. Continue your thumbs down the sides of baby’s face to his jaw, meeting together at his chin. Massage his face, following his cheekbones out to the edges of his face. 3. Stroke baby’s chest, using your whole hands and working from the center up and out towards the shoulders. The purpose is to spread out coiled muscles, so think long, slow strokes instead of a shorter, more pinching strategy. 4. Move to baby’s arms, holding his hand in one of yours, and stroking up and down with two or three fingers of the free hand. You can also roll baby’s arms between your palms to give a different sensation. Be sure not to pull or squeeze baby. 5. After the arms, focus on baby’s hands. Use your thumb to massage baby’s palm and the space between the thumb and forefinger. Roll each finger in yours, and focus on spreading out the hand. 6. When you get to baby’s stomach, be very gentle. Use this time to help gently massage baby’s organs, promoting digestion and blood flow. Massage the stomach in a circular motion, again using long, smooth strokes. Keep this pressure constant, replacing one hand with the other for a continuous movement. The paddlewheel technique has been known to provide relief for many colicky babies. Put your hand on baby’s chest, with your fingers pointing up toward his chin. Next, rake your hand down your baby’s belly all the way to the groin using a firm, gentle stroke. 7. Next, move to the legs. Pull his knees up toward his chest at an angle so that his teels touch his bottom. Then push baby’s thighs down into his mid section with a very gentle pressure. Then, take your baby by the ankles, and move the legs up and down, one at a time, in a bicycle riding motion. 8. Massage the tops and bottoms of baby’s legs and feet, using your thumbs on baby’s arches. Roll each toe between your fingers. 9. Gently turn baby on his stomach, caring for his head. Stroke sideways from the middle of baby’s back, creating space between his shoulder blades. Then, use long vertical strokes to go from baby’s shoulders down to his toes. Don’t forget baby’s bottom, as there are a lot of muscles there as well! Baby massage is safe to do everyday, and it can be a great part of a pre-bed routine, especially with babies suffering from colic. Be sure to pay attention to baby’s reaction to massage, as it can overstimulate him if you do it for too long. For new babies, just a few minutes is enough. For older babies, they may enjoy up to 10 or 15 minutes. 1 Response to "How To Treat Colic With Baby Massage"